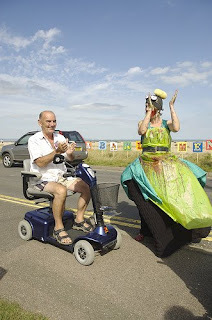 August Bank holiday 2007, Transition Gallery have teamed up with Club Shepway in Folkestone to present O Dreamland, a contemporary arts festival that takes a subversive yet affectionate look at the seaside. The title is taken from Lindsay Anderson’s short Free Cinema documentary made in 50s Margate about the Dreamland pleasure park. The film focuses on the partying day-trippers, juxtaposing them with some of the more grotesque elements of a typical amusement park. Curated by Cathy Lomax, O Dreamland features over 20 artists who each respond to the subject in a uniquely contemporary way. The event will be centred around a 1930s ‘Modern’ house in Greatstone, Kent, which overlooks the English Channel to the front and the curious Romney, Hythe and Dymchurch Light Railway to the back. The house is itself an interesting counterpoint to some of the more kitsch elements on show and embodies ideas of architectural modernist utopias. This pertinent event comes at a time when many of our seaside towns are in crisis. In between the creeping gentrification and crumbling deprivation the spirit of the seaside is being lost. 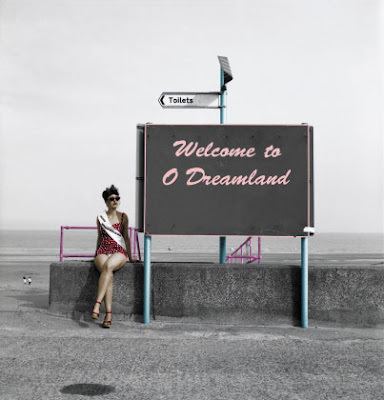 O Dreamland addresses this in a defiantly un rose-tinted way.